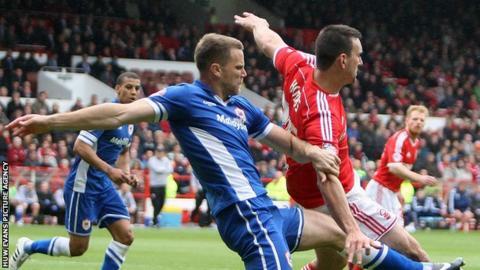 Cardiff City defender Ben Turner is set to miss the start of the new season after undergoing a minor operation on his injured ankle. The 27-year-old suffered the injury in training and manager Russell Slade said he would be out "for a few weeks". The injury is the latest setback for the ex-Coventry player, whose 2014-15 campaign was wrecked by an ankle injury. Turner missed three months and returned in the final game of the season.